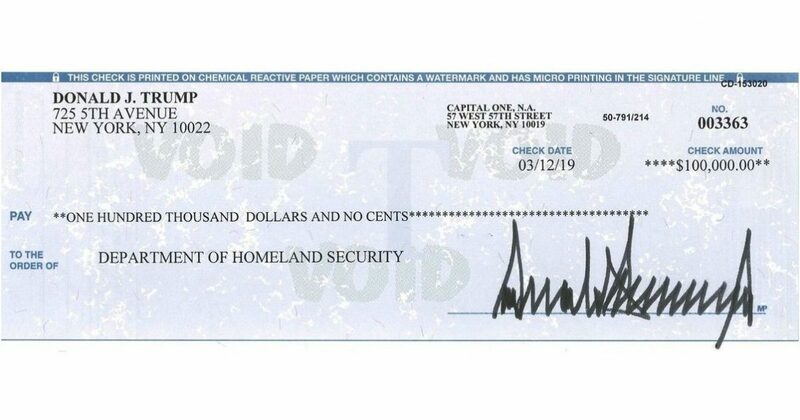 As promised during his campaign, President Trump has donated his salary to the charities of his choice, his most recent $100,000 quarterly salary donation going to the Department of Homeland Security, ostensibly to contribute to border wall funding. Liberal weenies are crawling out of their roach holes and taking to Twitter to respond to the president’s patriotic generosity with vitriol and hateful invective, and, true to form, Twitter is all too happy to place the repulsive liberal replies to President Trump’s tweet front and center at the top of the thread under the president’s tweet, while replies by conservatives are farther down the thread, or, as in the case of many conservatives, including yours truly, are virtually invisible (my tweets receive nearly zero engagement, as I have been shadow-banned by Twitter). This from a guy whose name in Yiddish means "Ponzi con artist." While the loser Krassenstein bros were defrauding the gullible out of their life savings and barely avoiding prison (which shouldn't have happened), Donald Trump was making billions in legitimate real estate deals. You might want to get a life. Could you be more of a loser waiting around for our president to tweet?? The FBI should be investigating you you creep. It’s going to be great when Trump wins again in 2020 you little turd! No, but I do remember Obama freeing 5 Top Taliban officials from Gitmo! Flying in Muslims from terrorist countries and his connections with the Muslim Brotherhood! Lol Look at me, that just seems to slip out over conversation!